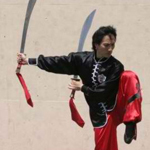 Master Rick L. Wing has studied the Northern Shaolin Style ever since he was a young boy. He learned directly at the hands of the master, Shifu Wong Jack Man, for decades and attended more classes with his teacher than any other student. Rick was an extremely dedicated and apt pupil, learning well all that his teacher taught him. 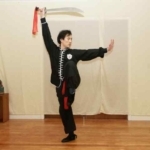 Upon his Shifu’s retirement from the martial world in December of 2005, Shifu Rick assumed the mantle of Chief Instructor of Shifu Wong’s San Francisco school, the Ching Mo Athletic Association. 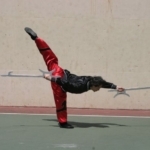 Because of his lifetime association with Master Wong Jack Man, Shifu Rick was able to learn a great variety of sets and techniques, and through his books, he brings the exciting art of Northern Shaolin to life. The Northern Shaolin journey is one well worth the effort. These books on the Northern Shaolin Style serve as guides for those with an avid interest in the style, and may also prove useful for others who practice affiliated arts. This is a series of Books and DVD’s on the Bak Sil Lum Pai Arts. 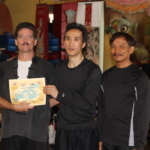 Master Rick Wing has been coming down and teaching Shifu Manuel Marquez for many years and he conducts workshops every year at the Shaolin Temple school.